The 12-day #ASaviorisBorn social media campaign from the LDS Church has culminated in a great combination of many of the YouTube stars that were featured during the campaign. 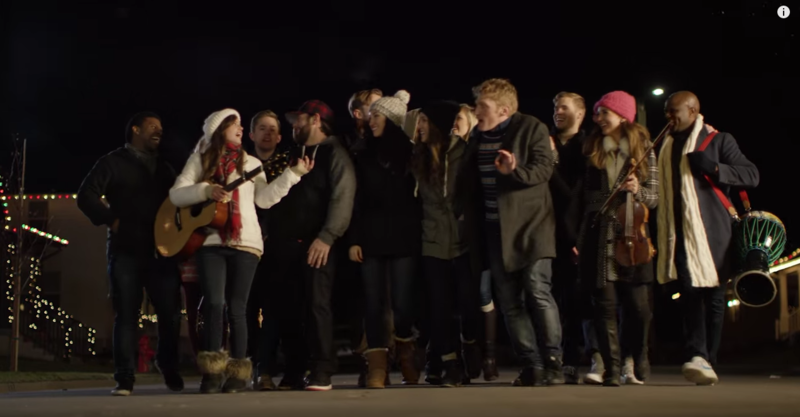 Watch Peter Hollens, Studio C, Alex Boye, Jenny Oaks Baker and many others surprise families with their own unique version of Silent Night. To check out all of the great videos that came out of this campaign, visit christmas.mormon.org. Be sure to share the ones you like and spread the message that this time of year celebrates that #ASaviorisBorn. Social media is filled with so many confusing and dark message. It’s a perfect opportunity to fill the Internet with light and messages of hope.